The Internal Revenue Service allows you to deduct certain expenses from your income to lower your income tax bill. Some deductions have a limit, and if your expense exceeds this limit, you can carry over the remaining amount to future tax returns. Because some expenses require you to take the deduction in the year you paid the expense, not all qualify. You can only carry over deductions for capital loss, net operating loss, donations to charity, investment interest expense and the business use of your home deduction. Grab Schedule D from last year's tax return. Look at the total amount of your loss from last year, which is located on the top of the second page of Schedule D. The most you can claim as a capital loss is $3,000 -- or $1,500 if you're married and filing separately, as of 2013. If the amount of your capital loss exceeds this amount, you can carry over the remaining amount. Download a copy of the Schedule D instructions from the IRS website. Complete the "Capital Loss Carry-over Worksheet" in the Schedule D instructions to calculate the amount of your carry-over. Enter the carry-over amount from your short-term loss in the line labeled "Short-term Capital Loss Carry-over" on Schedule D.
Enter the carry-over amount from your long-term loss in the line labeled "Long-term Capital Loss Carry-over" on Schedule D.
Look at the line just below the "Itemized Deductions or Standard Deduction" line on Form 1040 -- Line 41 as of 2013. If the amount listed in this line is a negative number, you have a net operating loss carry-over. Download Form 1045 from the IRS website and complete Schedule A-Net Operating Loss on the form to calculate your net operating loss. Schedule A-NOL is typically located on the second page of Form 1045. Enter the amount of your net operating loss in the line labeled "Other Income" on Form 1040. To offset your income, you'll have to enter this amount as a negative number. Attach a statement to your current year tax return showing how you figured your net operating loss. Look at your receipts from last year's donations and compare this amount to your adjusted gross income from last year's return. Depending on the charity, your contributions are limited to 50 percent, 30 percent or 20 percent of your adjusted gross income. For example, if your income was $50,000 and you donated to a 50 percent charity, the maximum deduction you could claim last year was $25,000. For a list of charities and percentages, refer to Publication 526 on the IRS website. Subtract the deduction amount you claimed last year from your allowable amount to determine your carry-over. The deduction amount you claimed last year is located in the "Gifts to Charity" section on Schedule A. Calculate your maximum deduction for this year based on the charity. If you earned $60,000 this year and donated to a 50 percent charity, the most you can claim is $30,000. Subtract the carry-over amount from your maximum deduction for this year. If your carry-over amount exceeds your maximum deduction, you can carry over the remainder amount to next year's tax return. For example, if your maximum deduction is $30,000 and your carry-over amount is $35,000, you can only claim $30,000 and carry over the remaining $5,000 to next year's return. Carry-overs are valid for up to five future tax returns. Enter the amount of your carry-over in the line labeled "Carry-over from Prior Year" in the "Gifts to Charity" section on Schedule A. Look at the line labeled "Other Expenses" in the "Job Expenses and Certain Miscellaneous Deductions" section of Schedule A from your previous year's tax return. Because investment interest expense is the only miscellaneous expense you can carry over, if this amount includes several expenses, only consider your investment interest expense for the year. Multiply last year's adjusted gross income by 2 percent. If the amount of your investment interest expense exceeds this amount, you have a carry-over. 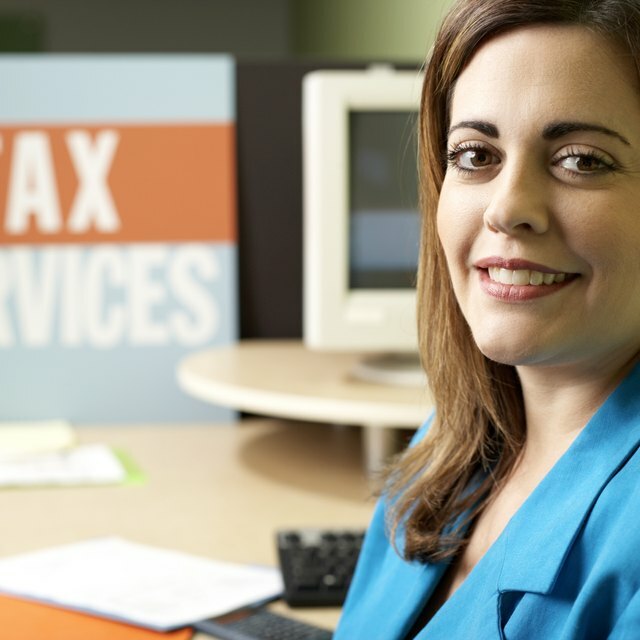 Multiply your current year's adjusted gross income to determine your deduction limit. Subtract last year's carry-over amount from this year's deduction limit. If the carry-over amount exceeds this year's deduction limit, you can carry the remaining amount to future tax returns. Enter the amount of your carry-over for investment interest expense in the line labeled "Other Expenses" on Schedule A. Write "Investment Interest Expense Carry-over" in the description line. Grab Form 8829 from your last year's income tax return. Look at the last two lines on the form. The first line describes your carry-over of operating expenses from last year. The second line describes your carry-over from casualty losses and depreciation. Download Form 8829 from the IRS website. Enter the carry-over amount for operating expenses and casualty loss and depreciation in the corresponding line in "Part II" on Form 8829.